I’ve been toiling away for the last couple of months on a personal project. A few years ago, when Sherlock had been unleashed upon the world, I had wanted to write a Holmes pastiche set on an estate in Manchester. My original thoughts turned to two teens, upon discovering the works of Arthur Conan Doyle, deciding to solve crimes. 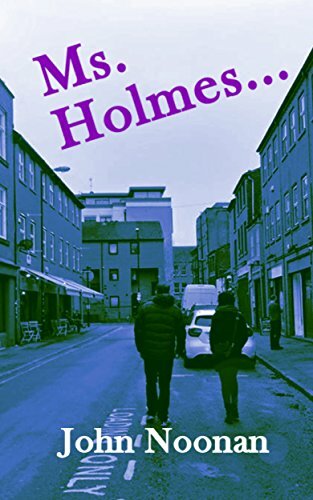 Then I heard about Steve Hockensmith’s Holmes on the Range series and, like all fools who don’t have faith in themselves, I packed up the idea and stored it away in the attic of my mind along with a bunch of unfinished screenplays. Fast forward to earlier this year and I had decided to follow through with my desire to go freelance. Overestimating the workload, I would have led me to realise that I needed something, other than housework, to occupy my time. So, I went back into my mind attic – I’m too poor for a mind palace – and retrieved my Holmes story. Over the next few months, the story changed and the characters developed. I rattled around my living room having conversations in character and ensuring that I knew them inside and out. Mores changes were made, plot lines were chucked out, anxiety was fought and eventually, I had written a short story called Ms. Holmes. All John Watson wanted to do was hit the streets of Manchester and celebrate his birthday. What he didn’t count on was his friend, SH, crashing back into his life after a three-year absence. In a whirlwind 24 hours, John is thrown into a grotesque mystery and learns that SH has more than a few secrets in her knapsack. It’s been so much fun writing this and I’m drafting further adventures as I type. I’ve already had some lovely reviews about the story and I’m hoping you’d like to read it too! Have a read, tell your friends and look out for more adventures.